Introducing Romantic Script. 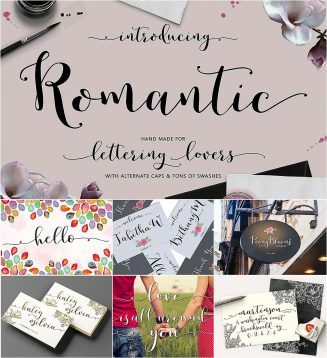 This sweet feminine script is packed with more than 1800+ characters! File format: .eot, .otf, .ttf, .woff for Photoshop or other software. Tags: calligraphy, curly, feminine, romantic, script, swash.